Canada’s Minister of Innovation, Science and Economic Development (ISED) has announced that the country’s 600 MHz spectrum auction will be held in March 2019. As with the FCC’s Incentive Auction in the U.S., which ended in April 2017, Canada’s 600 MHz repurposing process will require a TV channel repack to clear the spectrum for wireless carriers. In Canada, as in the U.S., wireless audio equipment operators will be expected to vacate the 600 MHz spectrum as soon as the carriers begin their new services. The FCC and Industry Canada, the government department overseeing economic development, agreed in August 2015 to harmonize their respective 600 MHz band plans. (Industry Canada was absorbed into ISED when Justin Trudeau became prime minister in November 2015.) However, Canada has been slow off the mark, only now announcing an auction date that is two years into the FCC’s 39-month repack schedule. 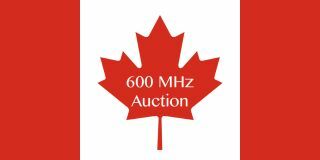 Canada’s 600 MHz spectrum auction is unlikely to follow the FCC’s incentive model, whereby TV channels sold their spectrum to telecom companies, as two entities, BCE and Rogers Communications, own both broadcasters and wireless carriers. The spectrum set-aside is intended to level the playing field for those carriers with less than 10 percent of the market, such as Shaw’s Freedom Mobile and Quebecor’s Videotron, and increase competition, ultimately to the benefit of consumers. Canada’s wireless telecom business is dominated by the Big Three: Rogers Wireless, Bell Mobility (a division of BCE) and Telus Mobility. The ISED band plan includes a total of 70 MHz in seven paired blocks of 5+5 MHz with a duplex gap from 652 MHz to 663 MHz and a guard band from 614 MHz to 617 MHz. Active mobile network operators with less than 10 percent of national wireless subscriber market share will be able to bid for spectrum in the 30 MHz set-aside. All service providers, including the Big Three, will be able to bid on the remaining 40 MHz. This article was originally published by Pro Sound News.